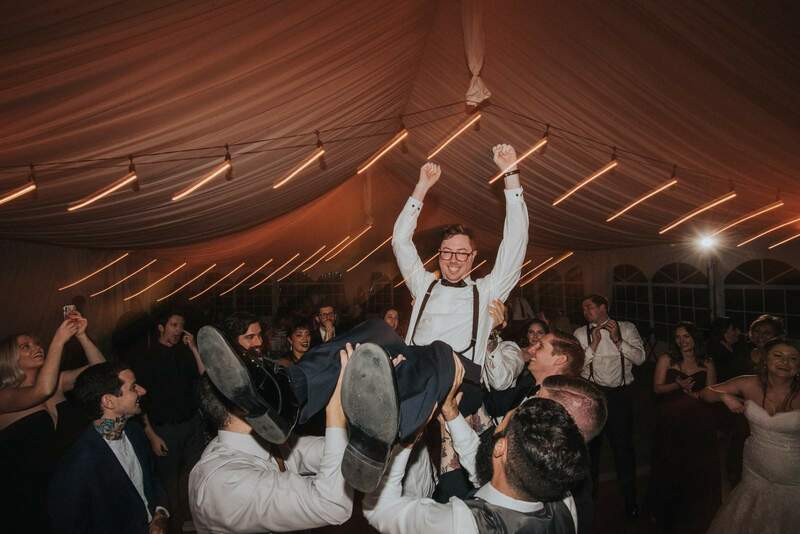 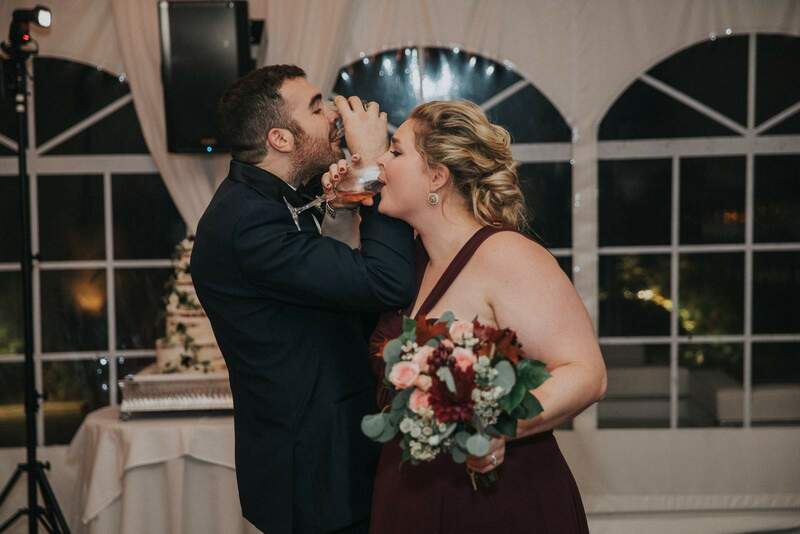 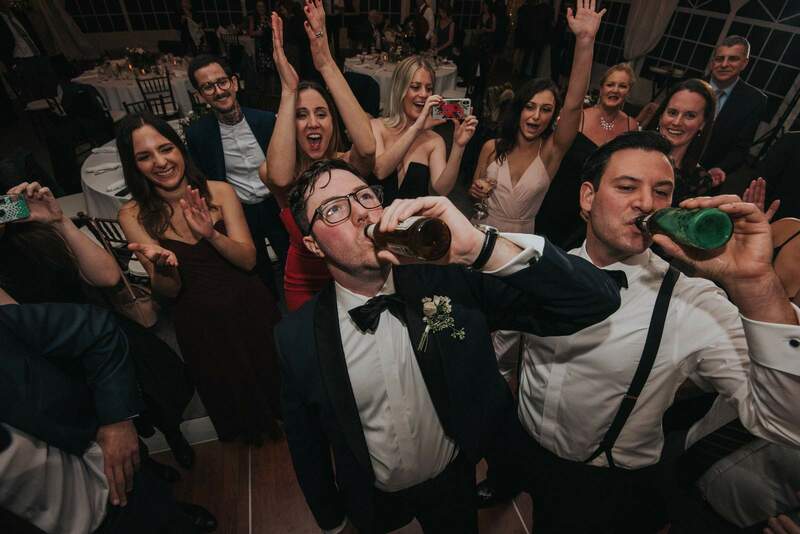 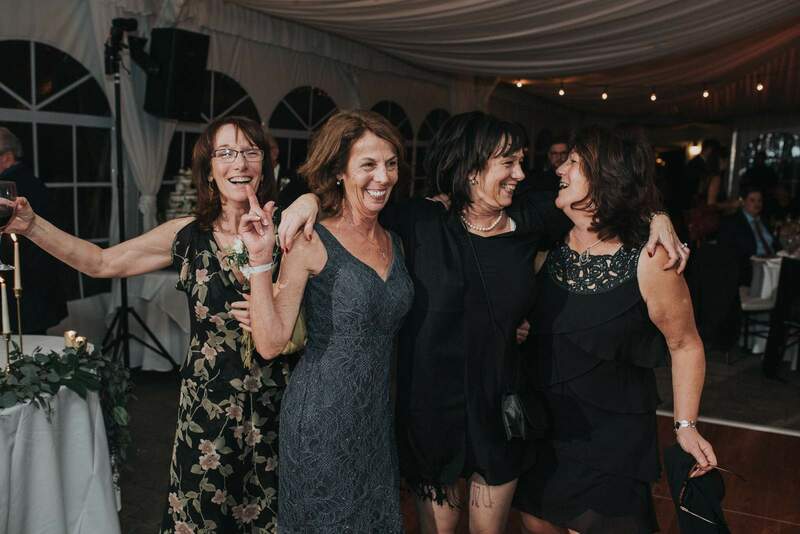 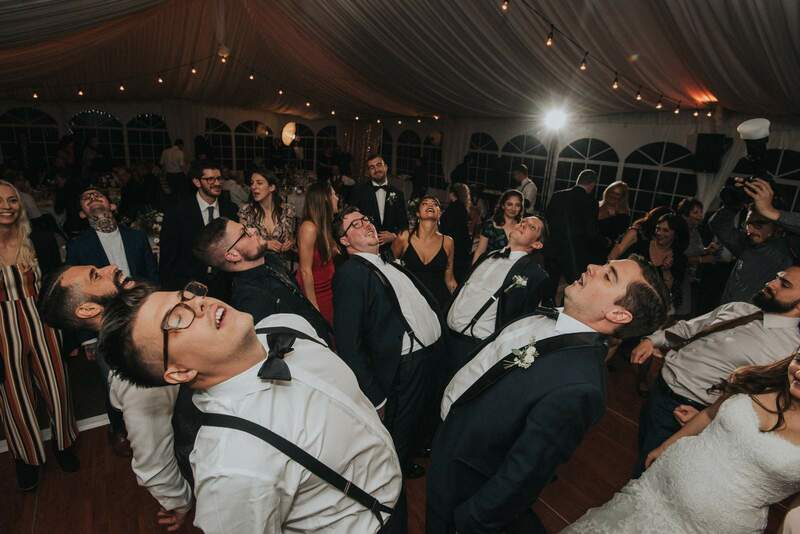 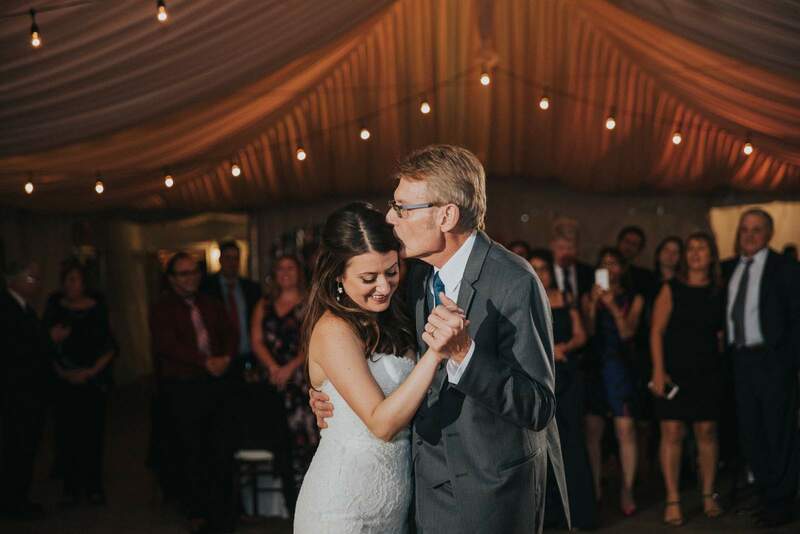 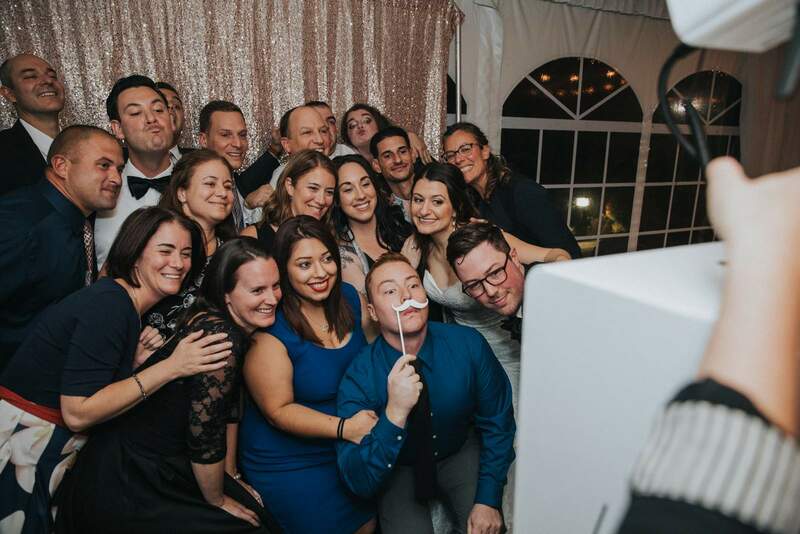 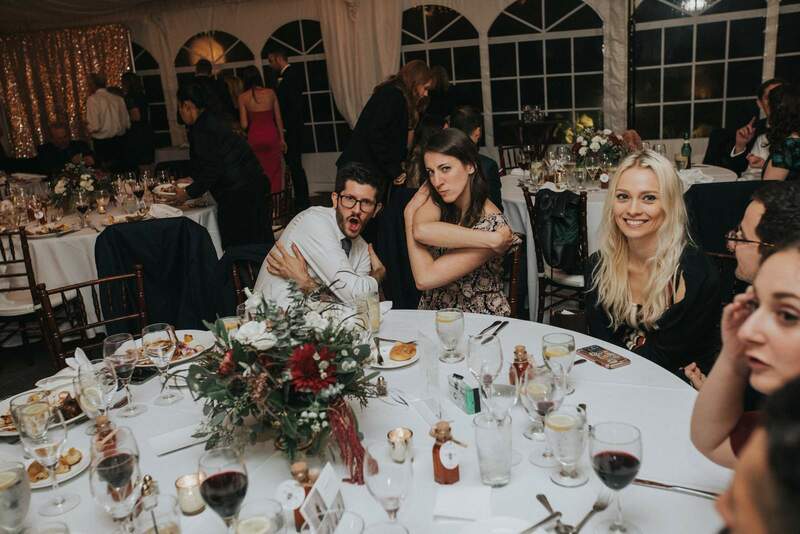 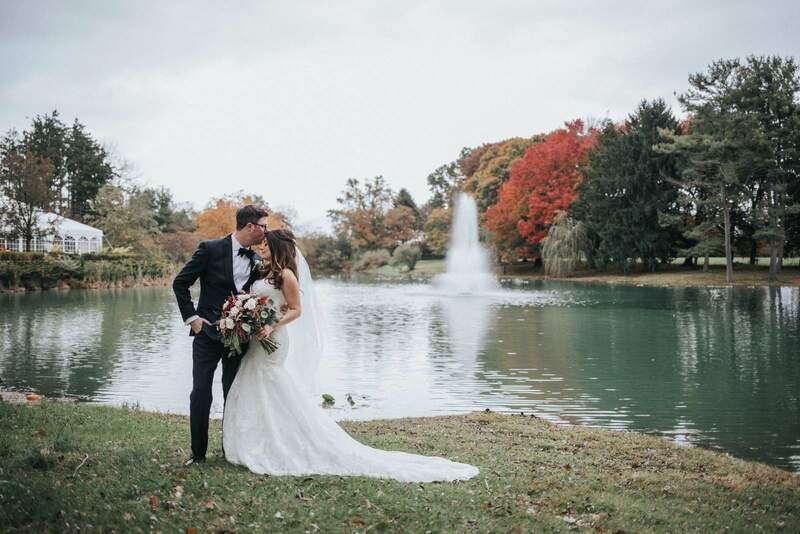 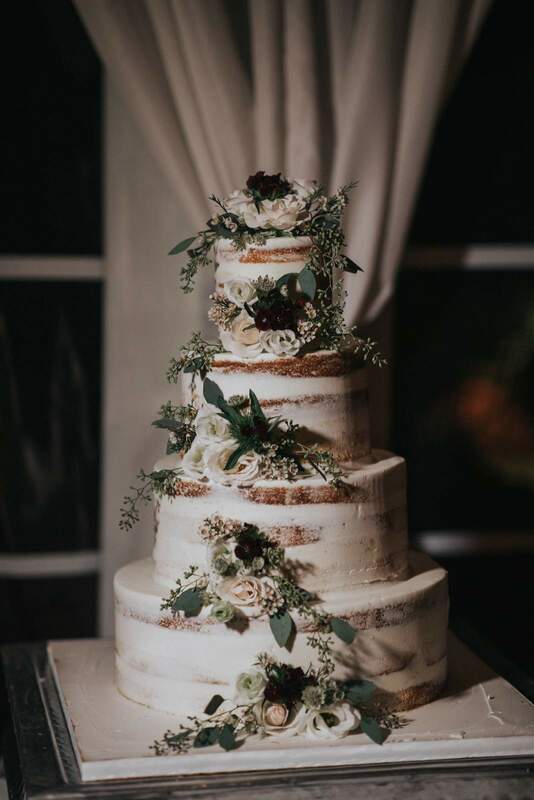 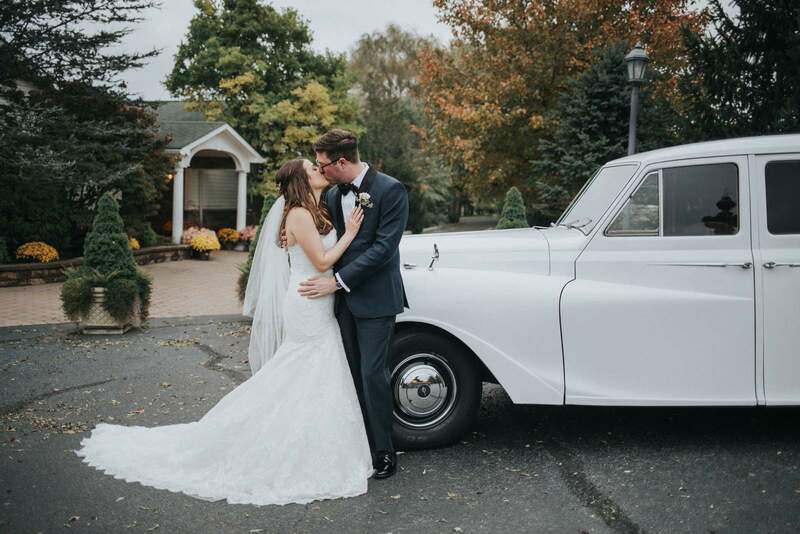 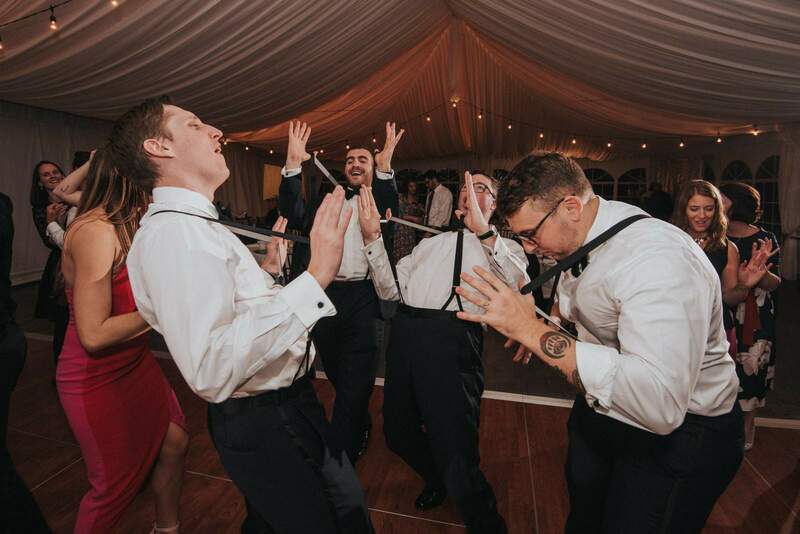 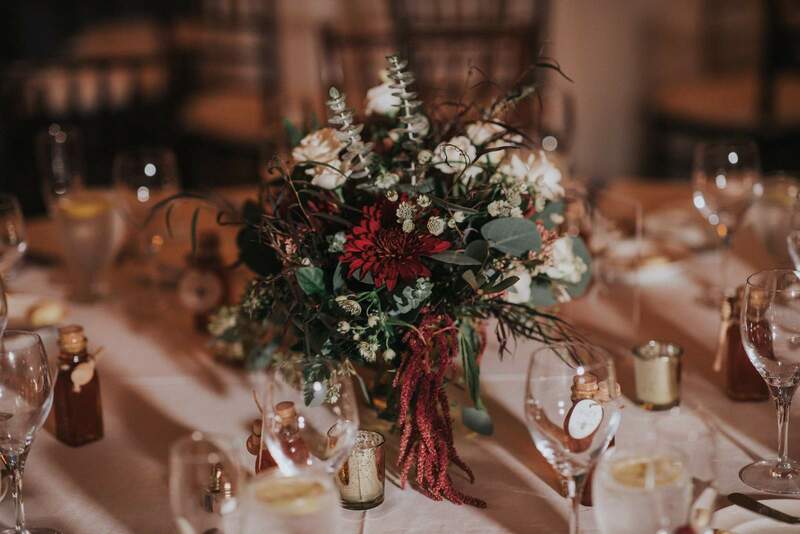 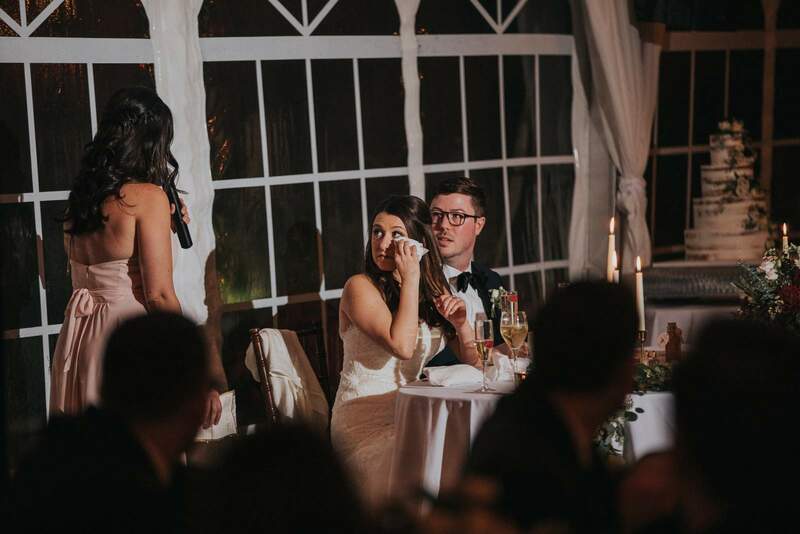 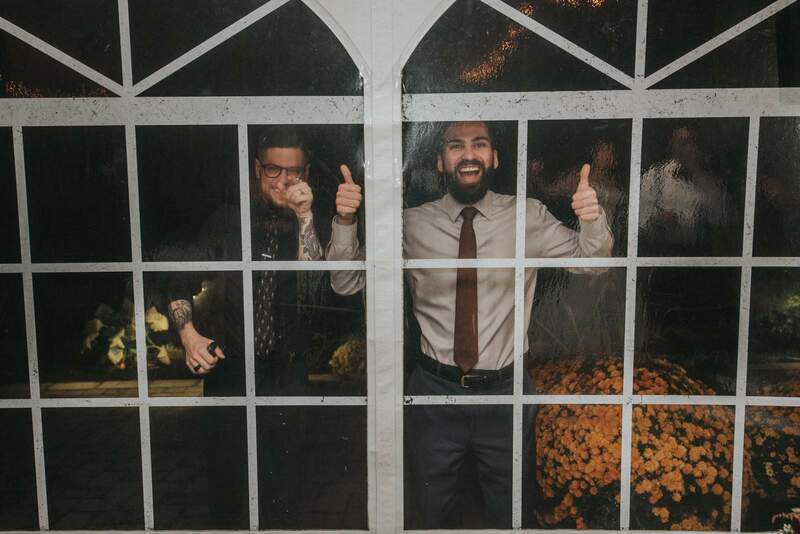 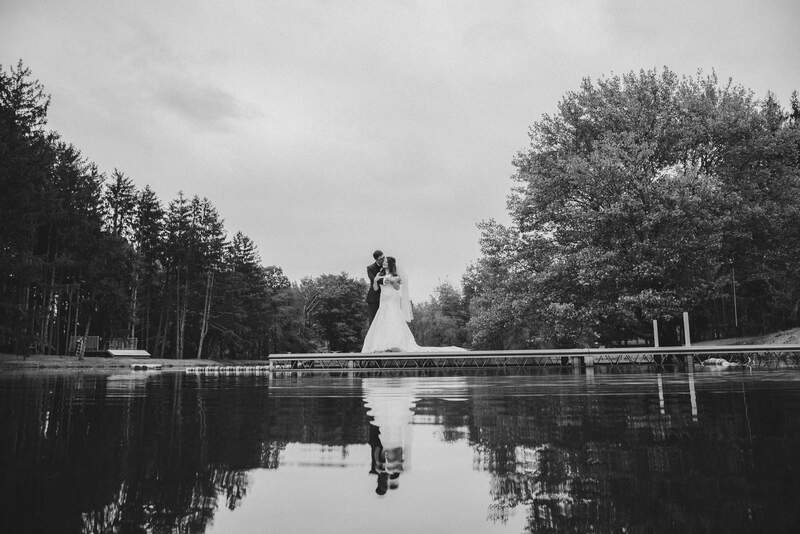 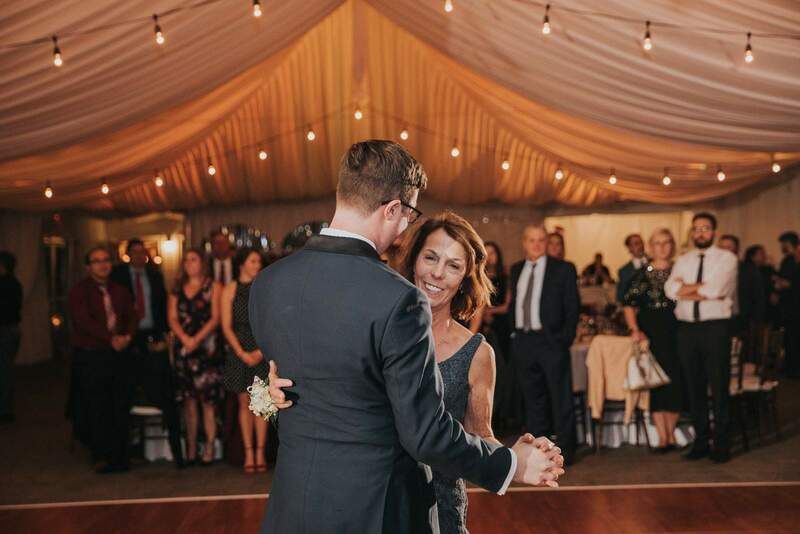 Our favorite photos that tell the story of this beautiful wedding taking place at Windows on the Water at Frogbridge in Millstone, NJ on a perfect fall day! 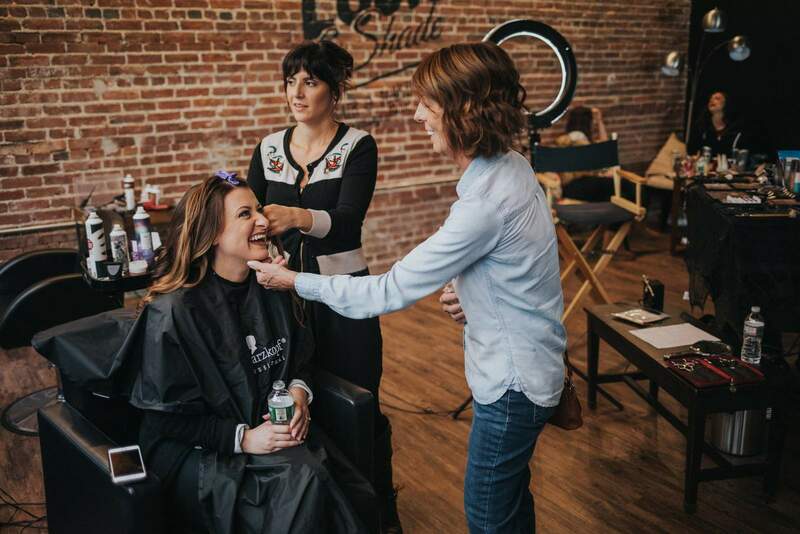 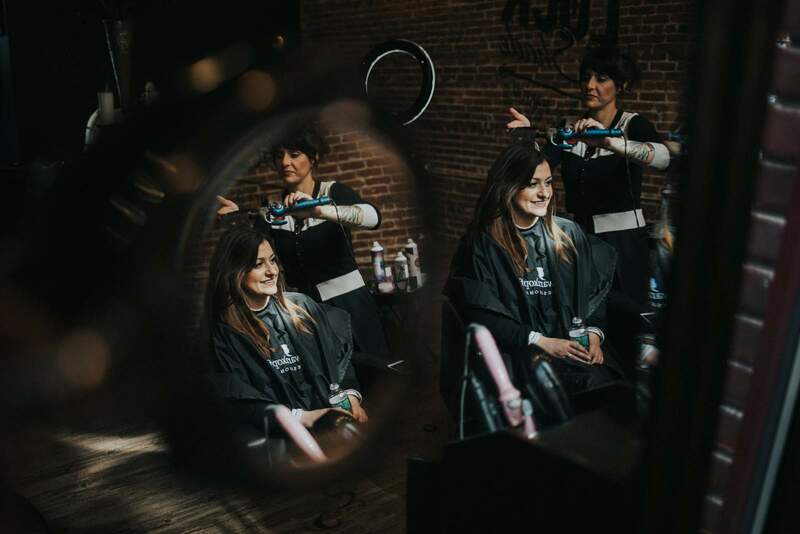 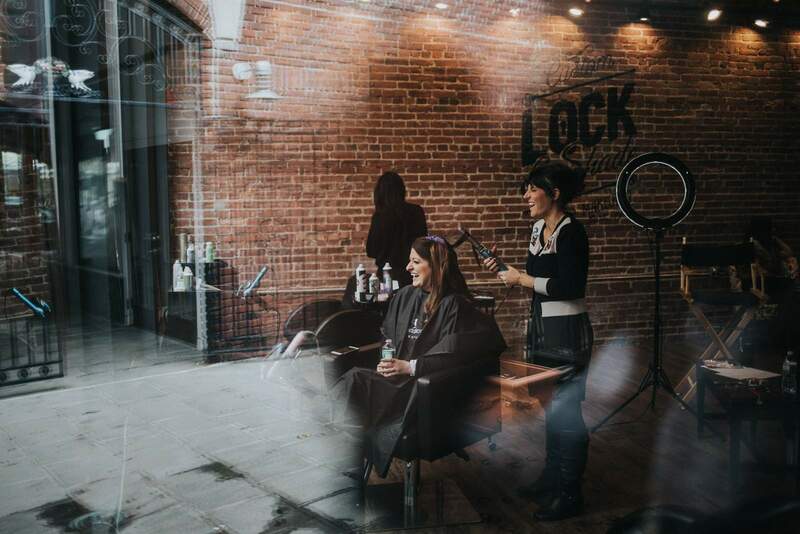 We began across the state in Asbury Park where the bride and bridesmaids were finishing up hair and make up at the Lock & Shade Salon. 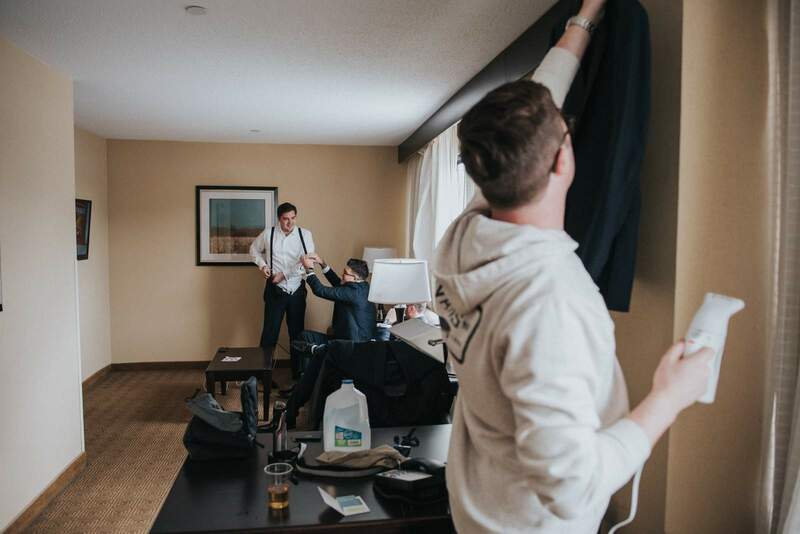 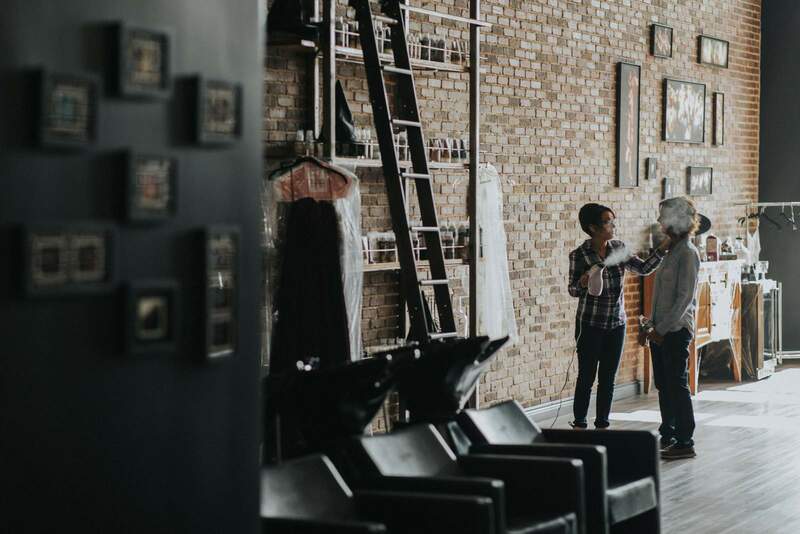 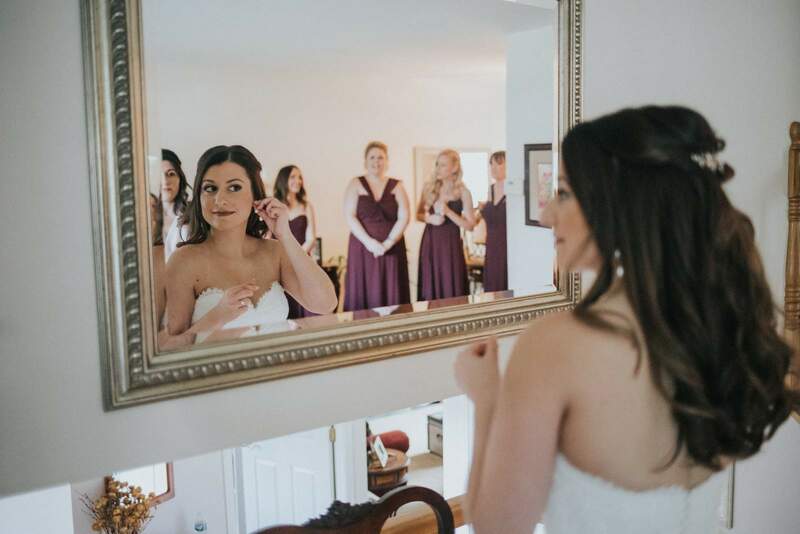 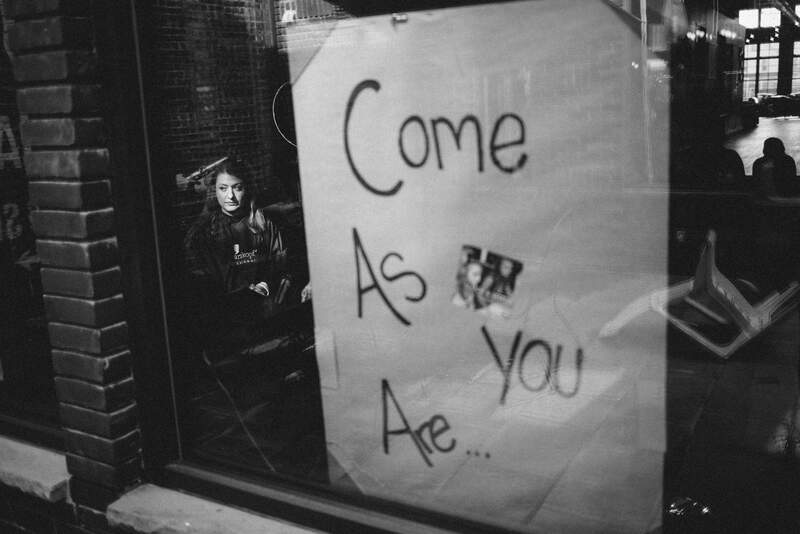 The exposed brick walls, many mirrors, and huge windows made this one of our favorite places to capture unique photos of the getting ready. 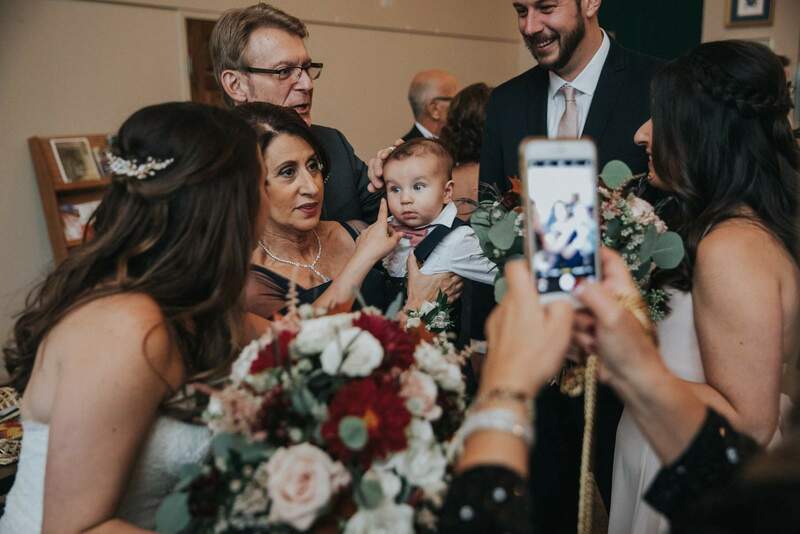 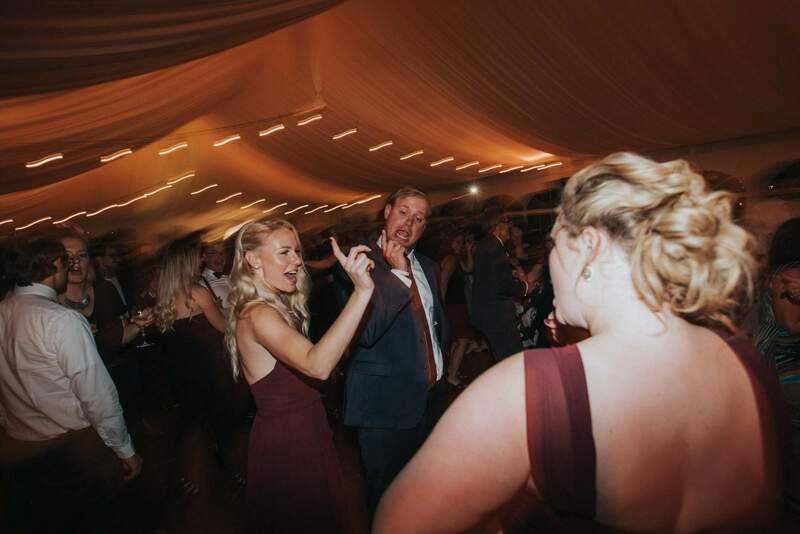 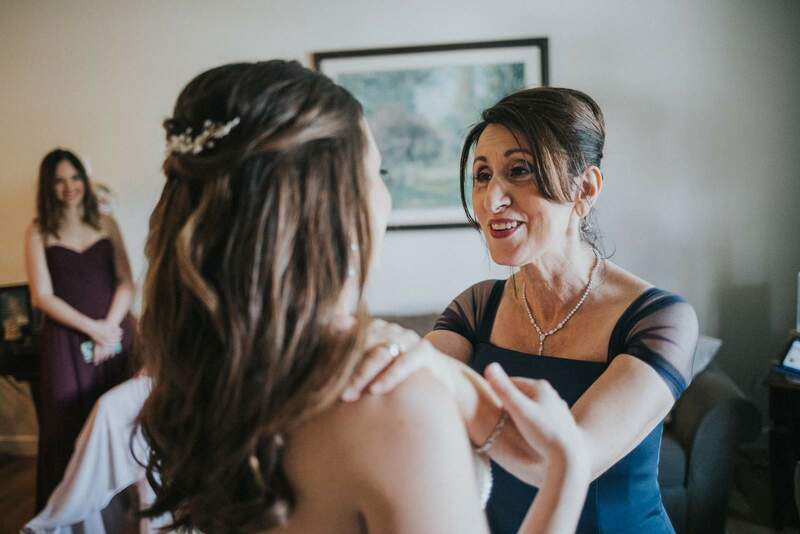 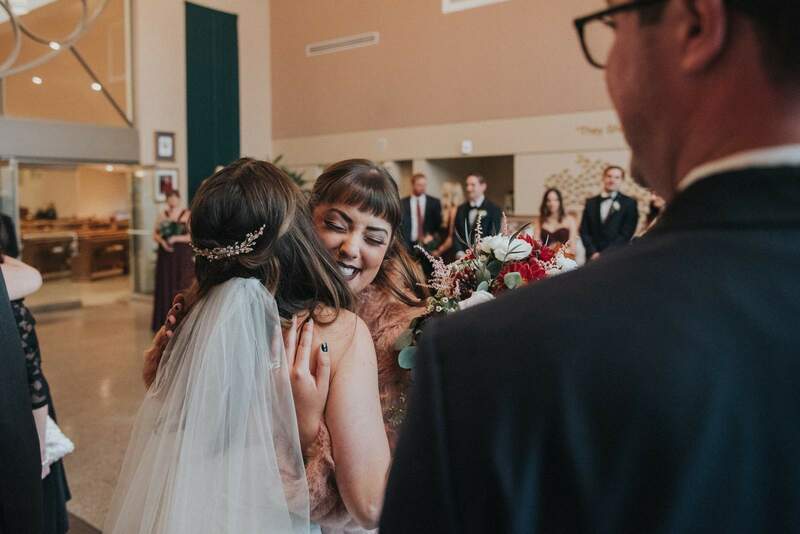 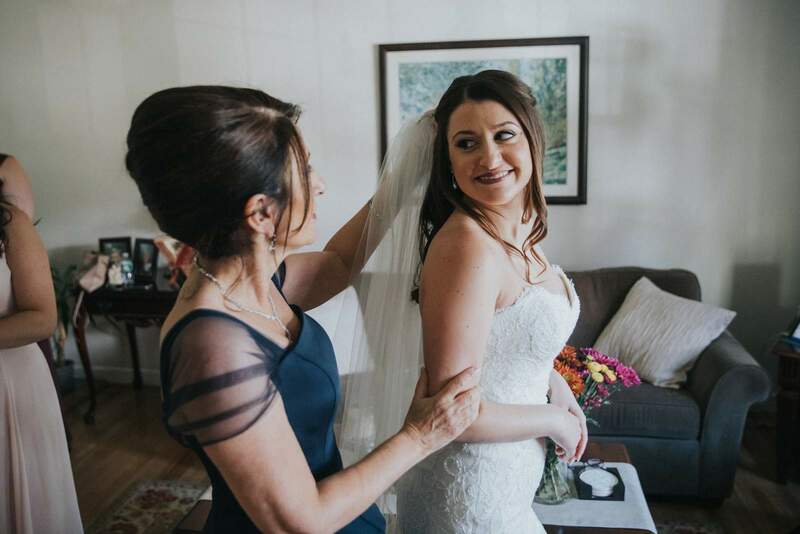 While the hair and makeup may be minor compared to everything else that comes in a wedding it always creates so many moments that we love to capture. 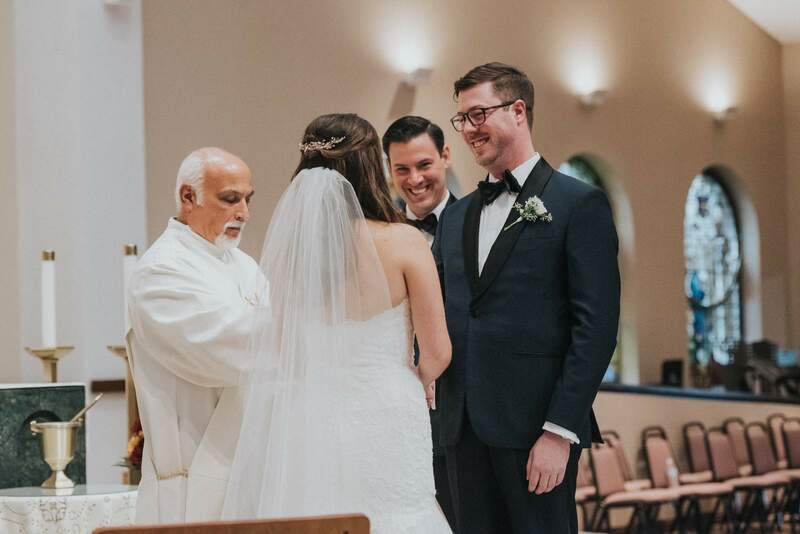 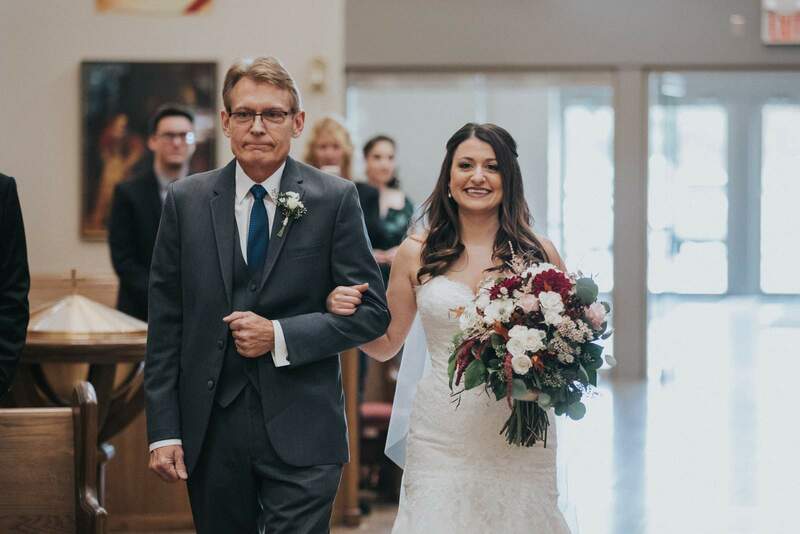 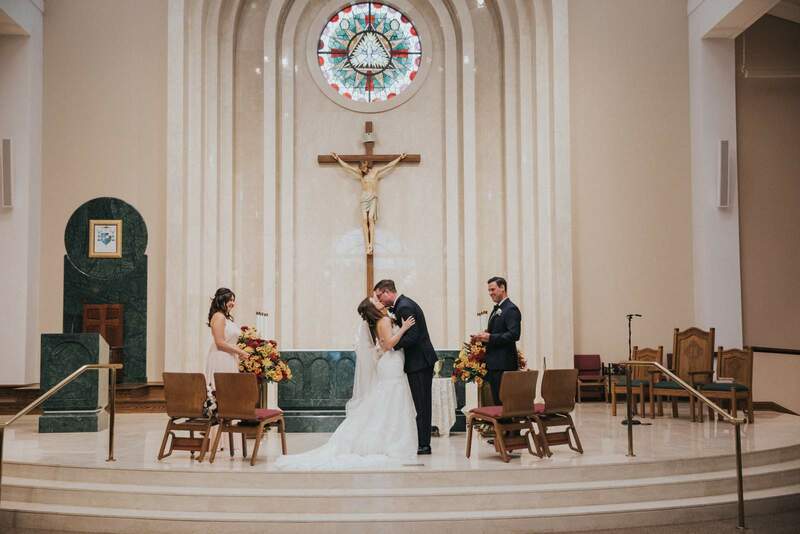 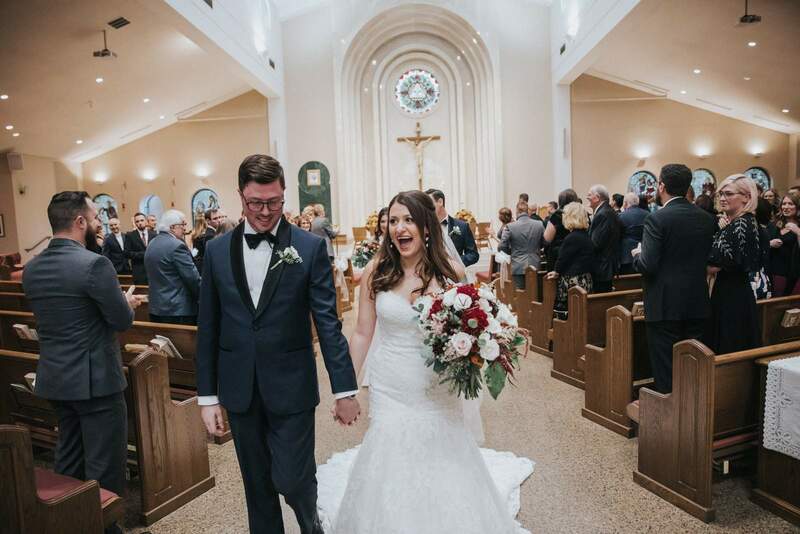 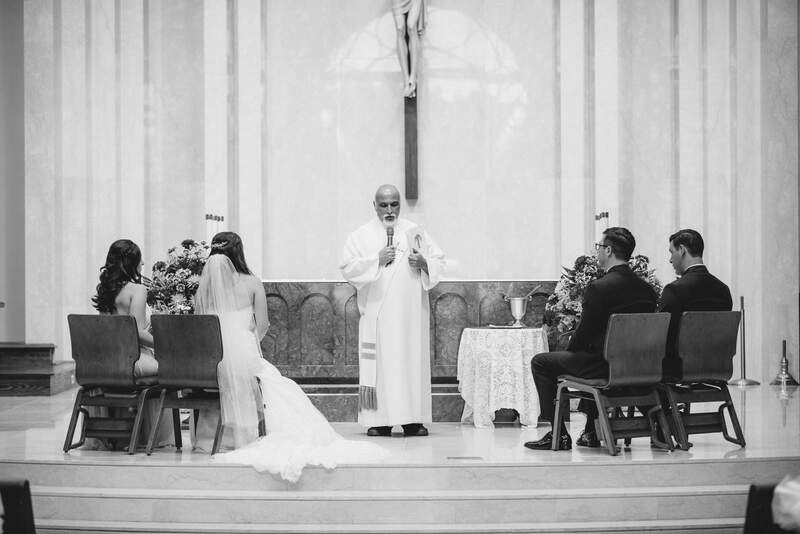 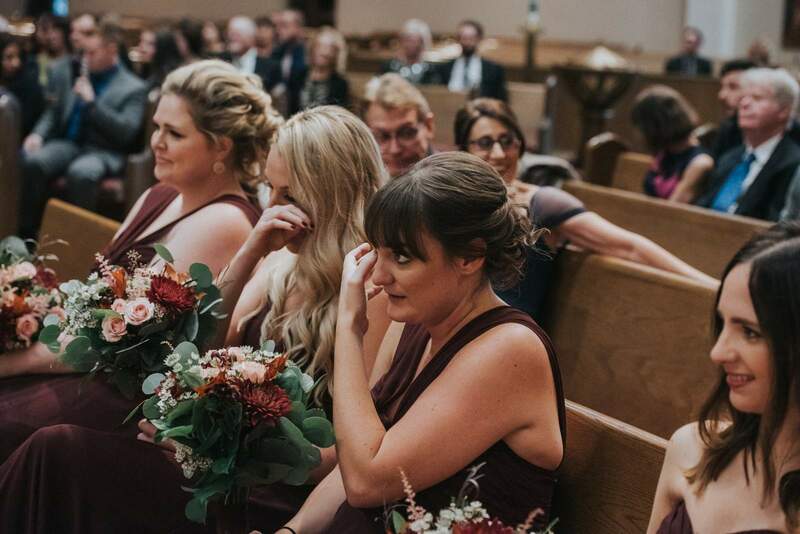 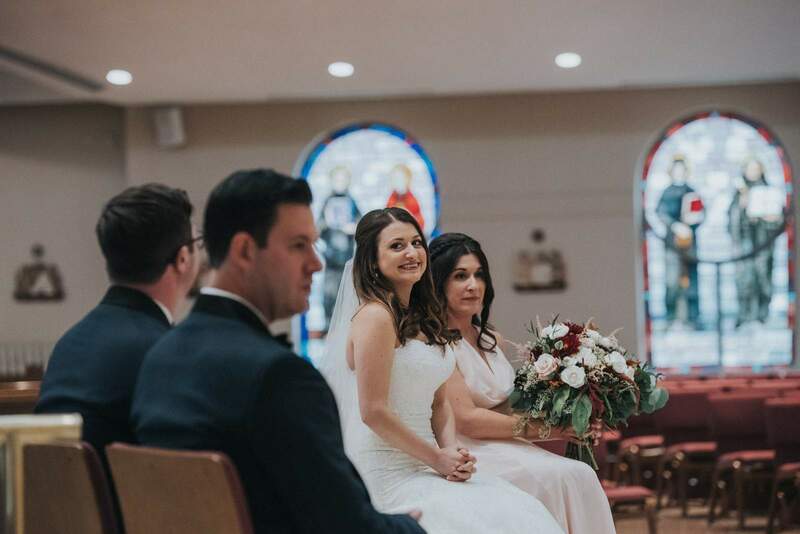 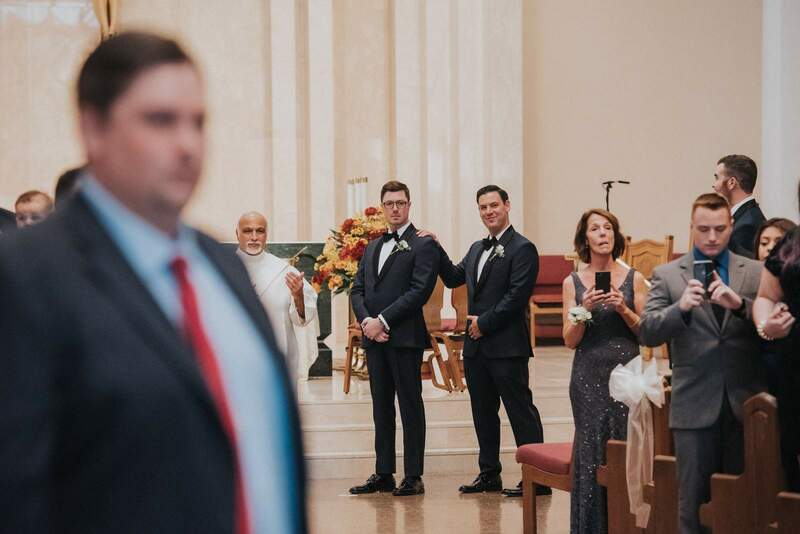 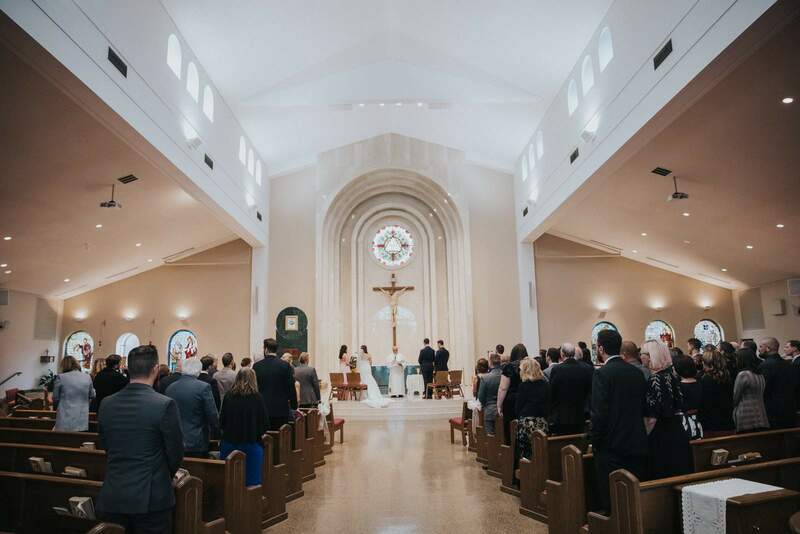 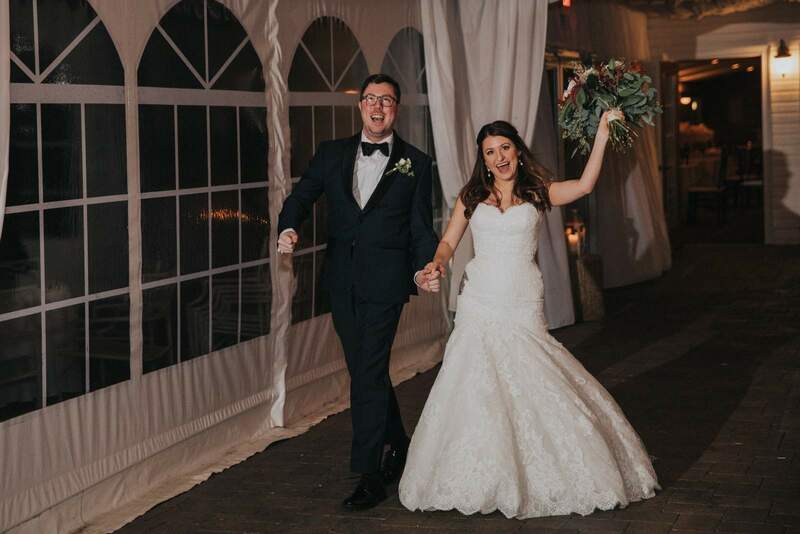 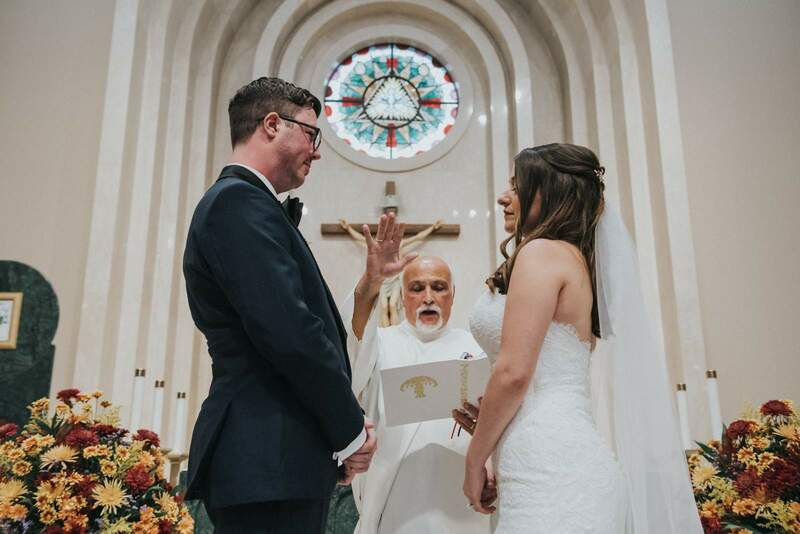 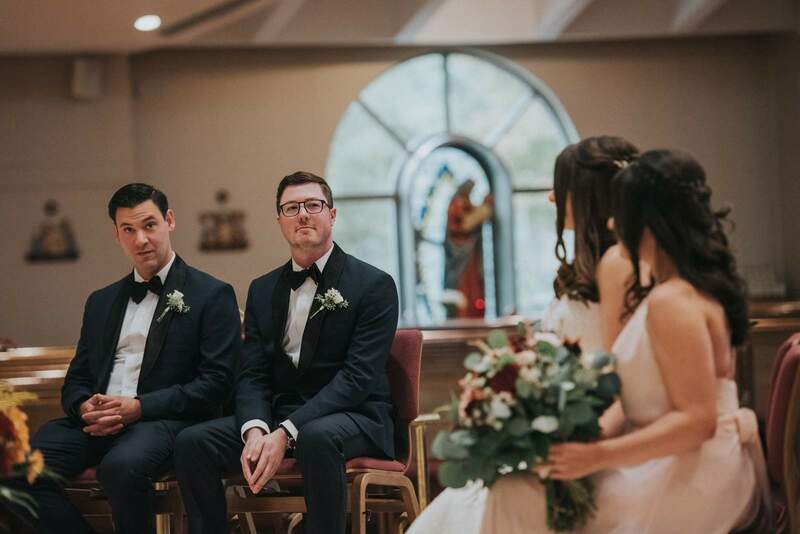 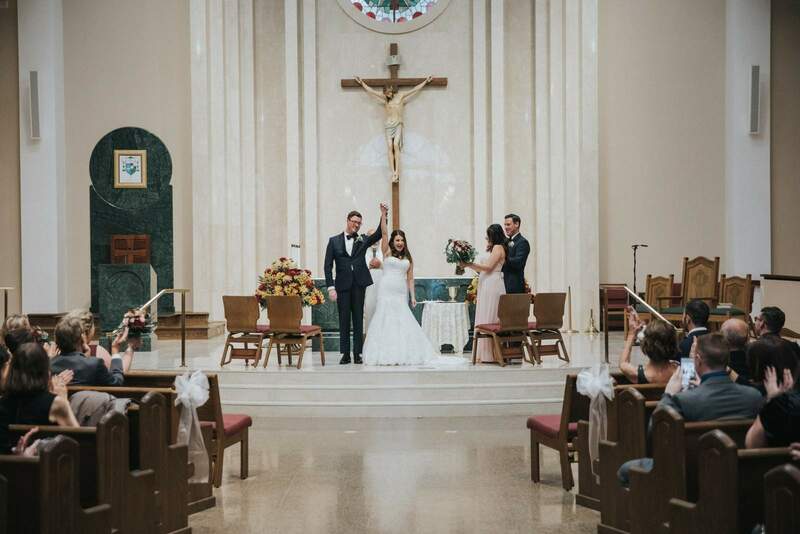 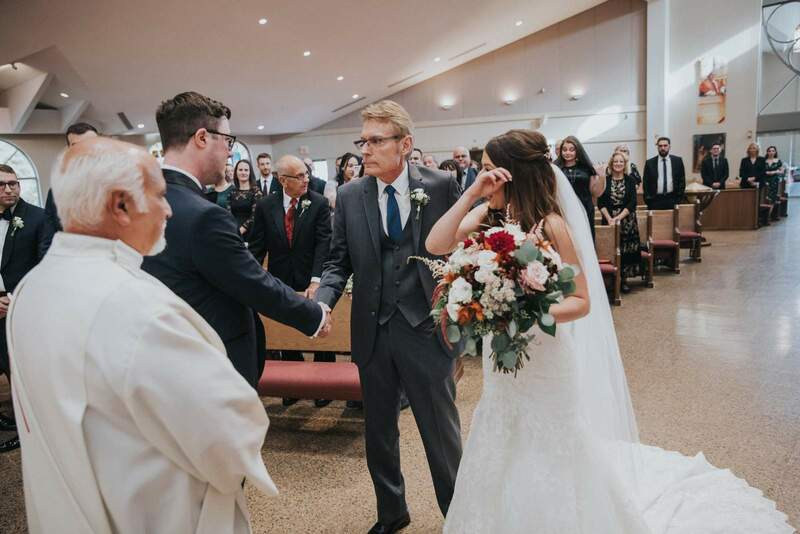 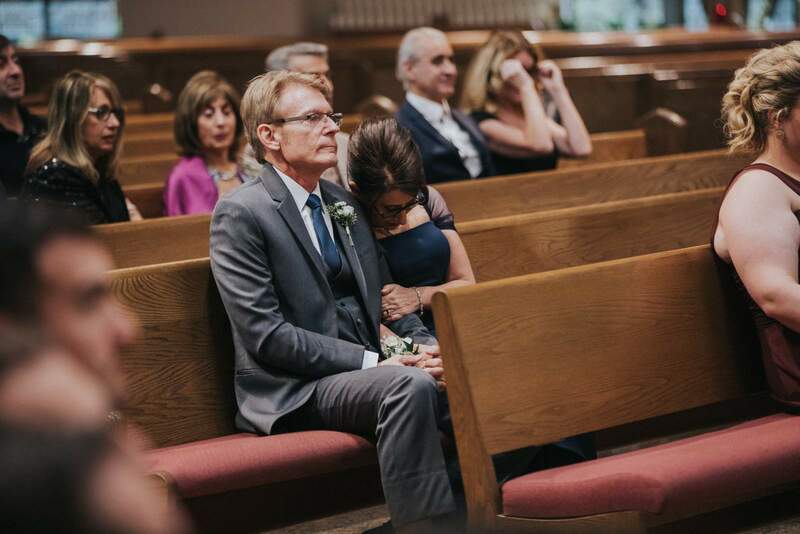 With all the details perfect, we made our way to modern and bright St. Roberts Bellarmine in Freehold for a full mass ceremony that was full of laughter, joy, and tears. 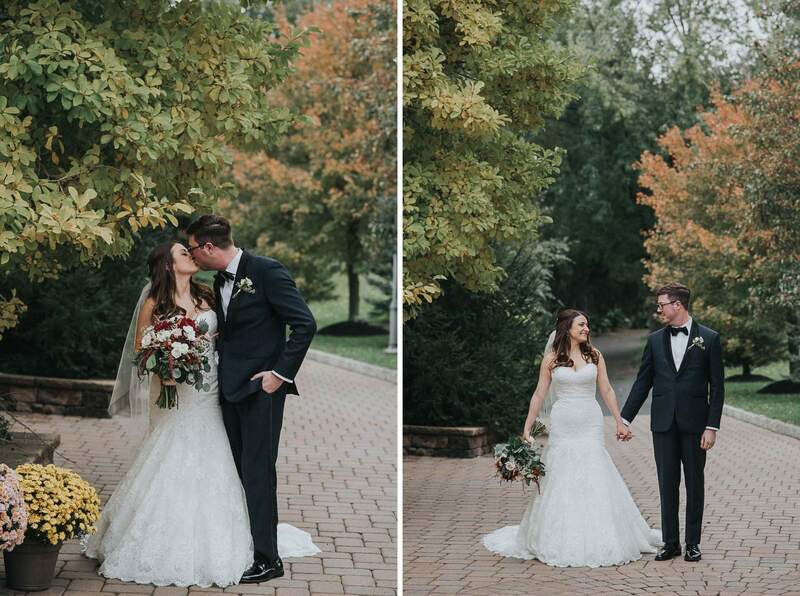 After the church ceremony concluded and upon arriving to the venue we were overjoyed that we had some extra time before cocktail hour begun to explore the grounds. 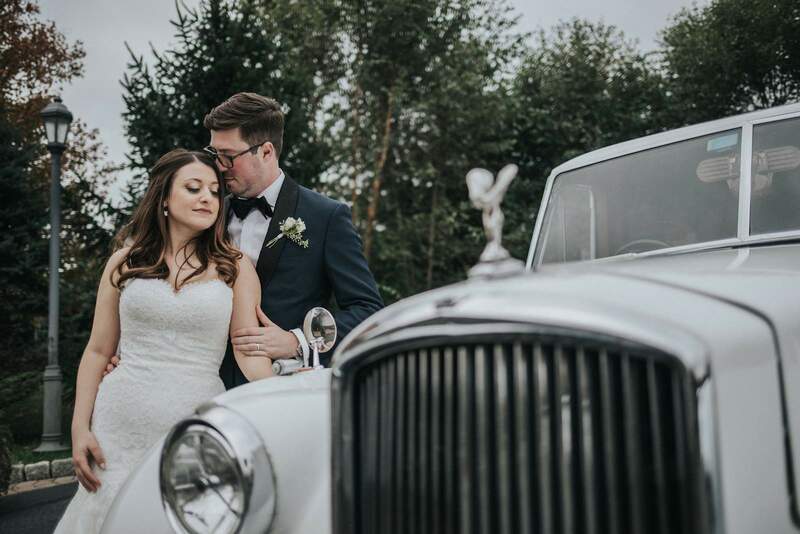 We began photographing the couple with the antique Rolls Royce and then bounced around to many docks, pathways, lakes, and more to create the perfect portrait photos. 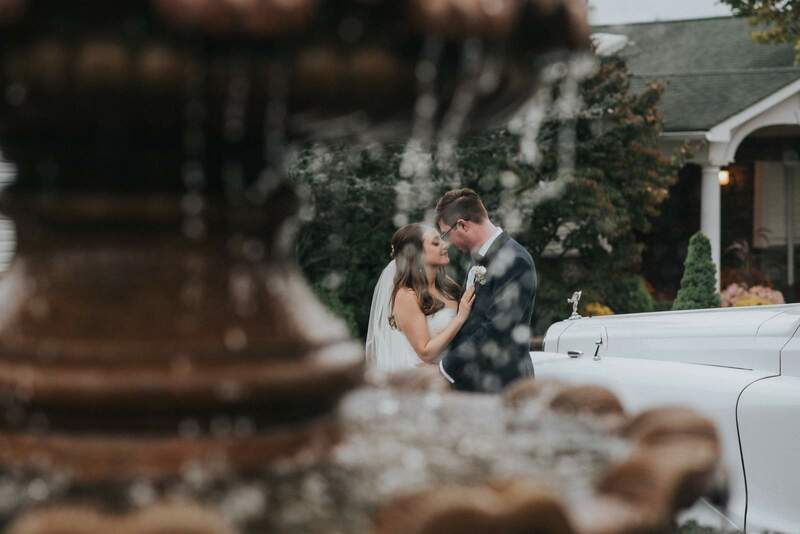 It began to drizzle, but everyone was already inside set for the reception and party to begin. 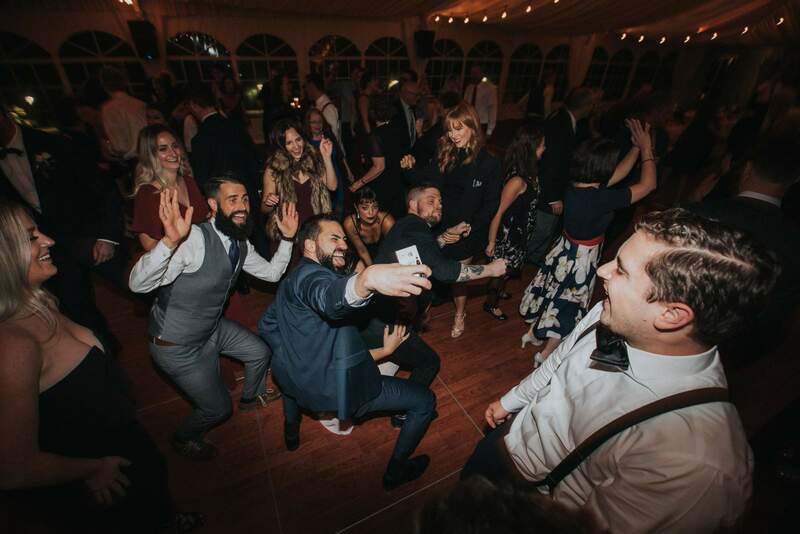 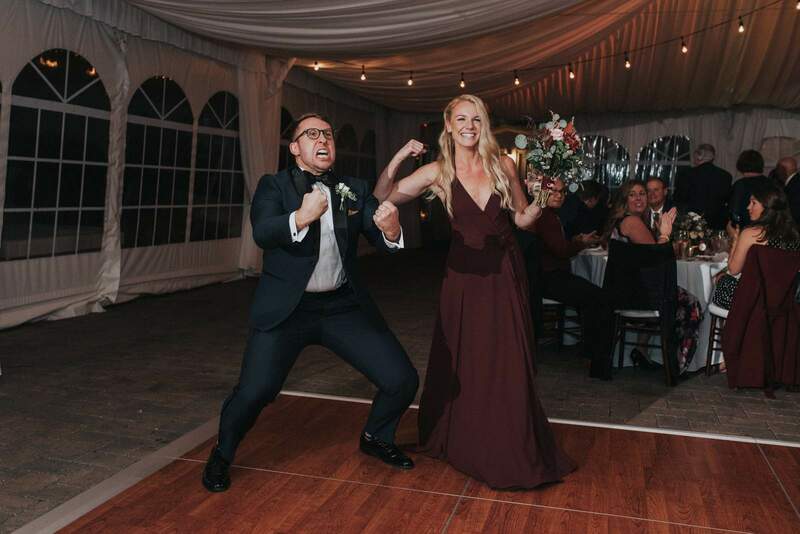 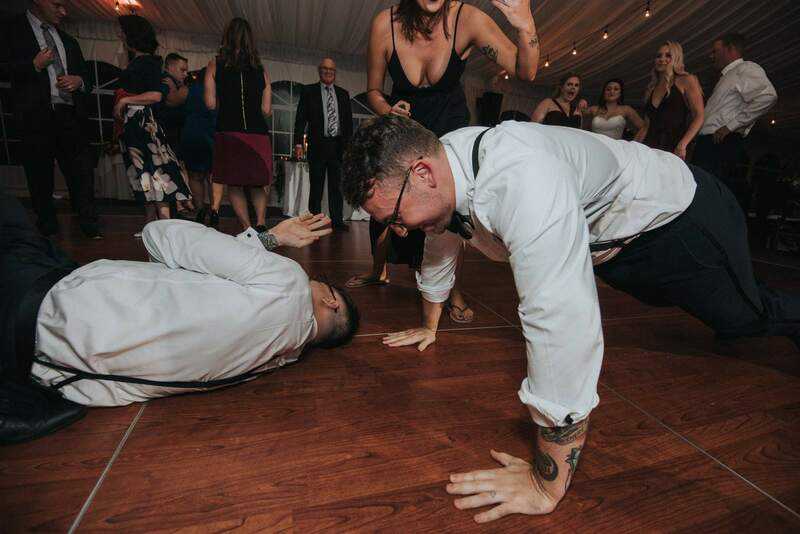 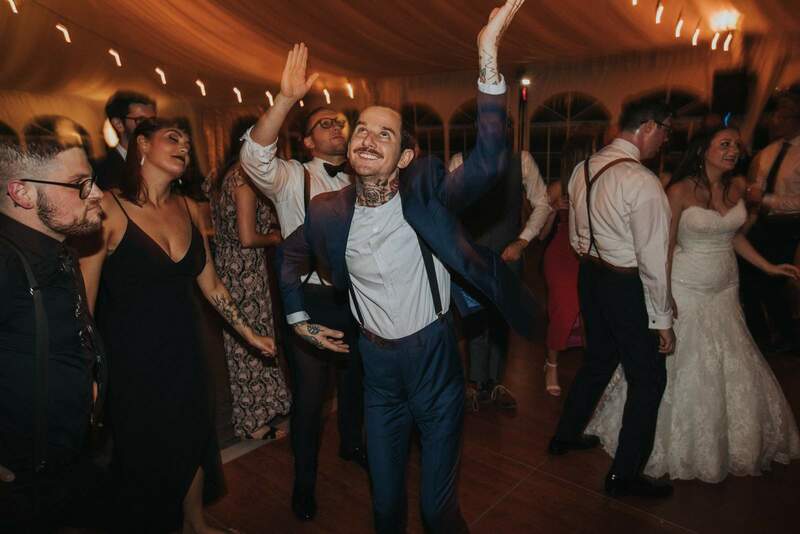 After the entrances, dances, and toasts we found ourselves on of the wildest dance floors in recent memory. 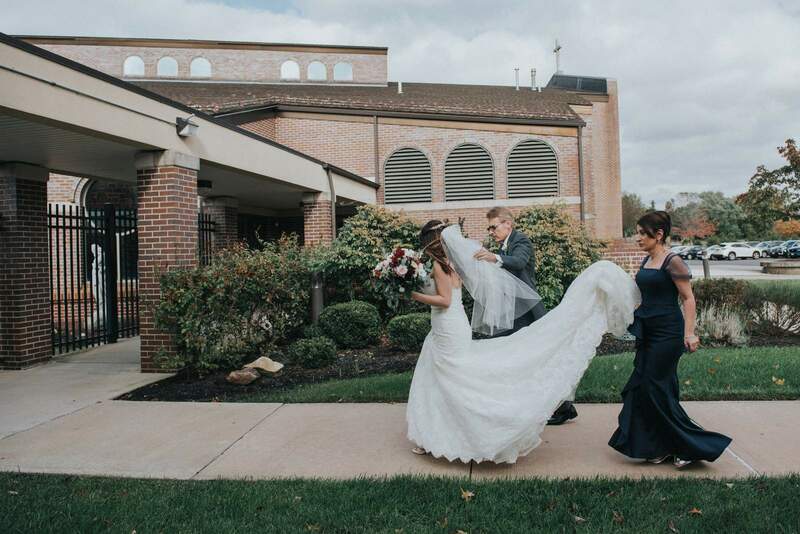 Throughout the day there were so many moments that were perfect to capture in our photo journalistic and candid style of photography. 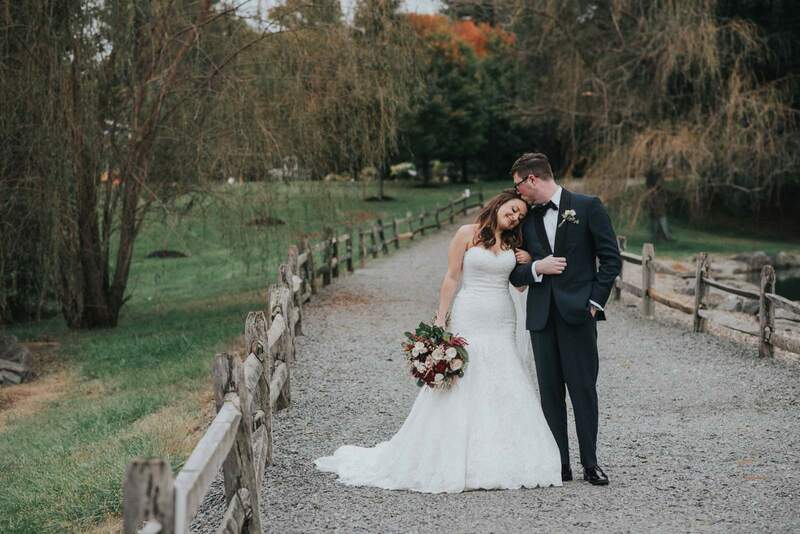 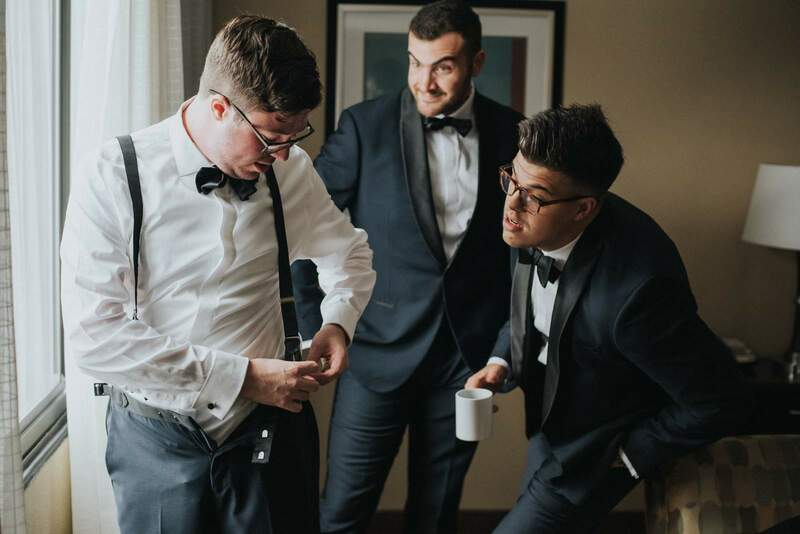 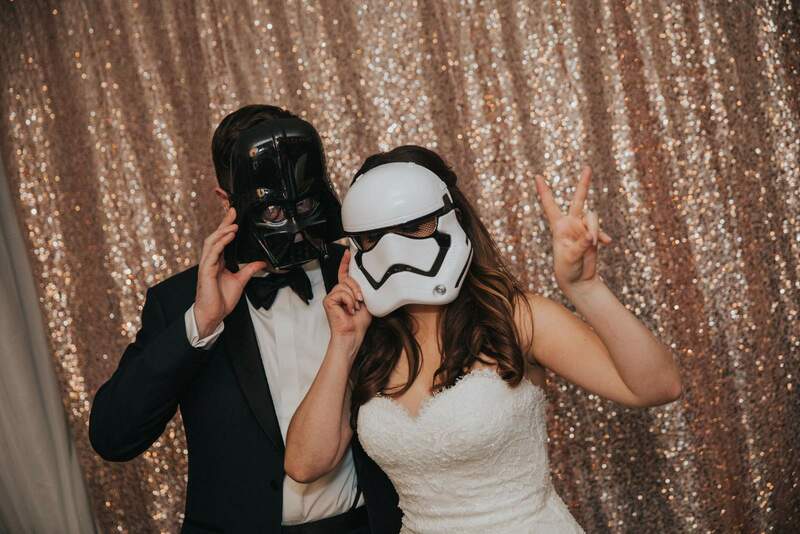 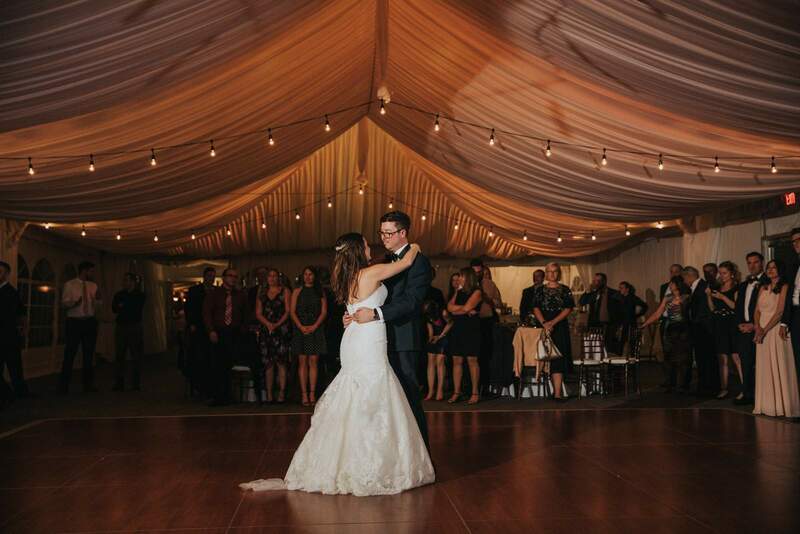 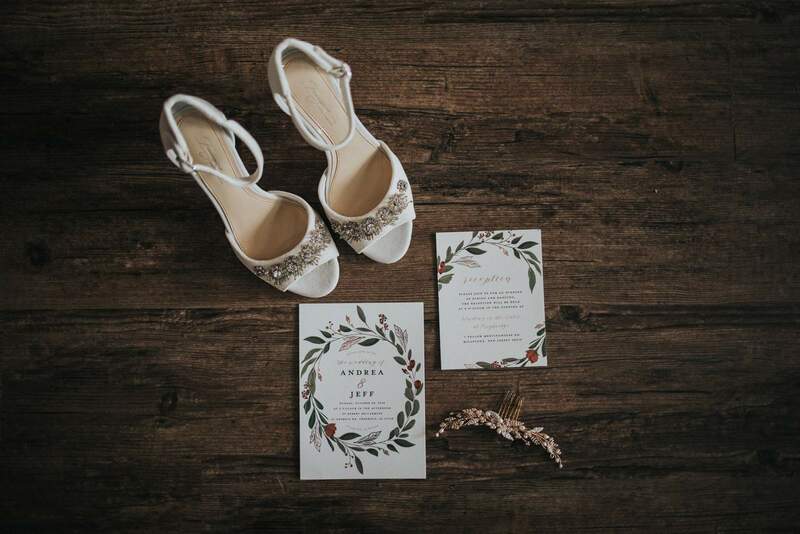 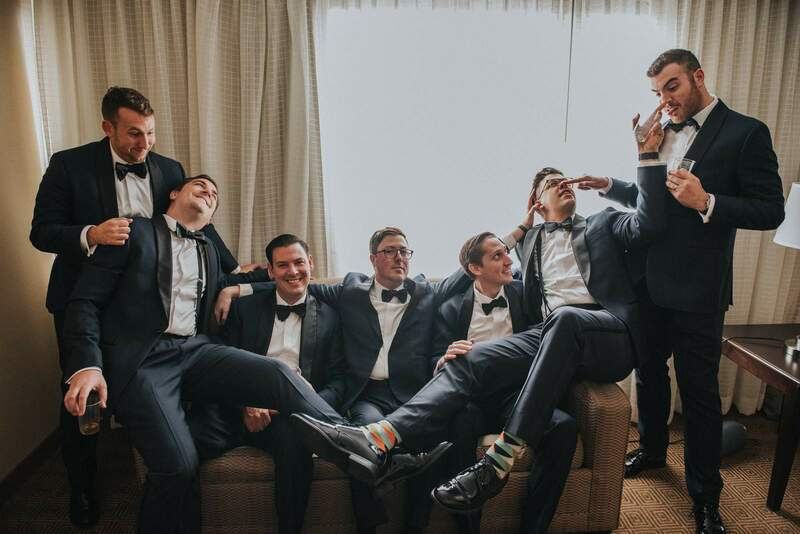 We had a blast photographing every part of this wedding story and know that you will love these photos as much as we do!